With the multitude of software tools available, businesses are more interested than ever in optimizing their productivity to boost their bottom line. Call centers are no different, with many potential pitfalls ranging from lack of proper oversight to inconsistent training processes. Below are five areas where call center productivity could suffer the most. No matter the size of your team, it can be difficult to treat each employee equally in terms of how their calls are monitored and how often. Whether intentional or not, managers are likely to have biases and could be harder on certain employees while letting bad behavior slide elsewhere. This sort of unfair treatment is extremely damaging to morale, which can result in higher employee turnover and lower productivity rates. By using a tool like TCN’s workforce optimization, you can receive quantitative reports that make it easy to compare employees using the exact same KPIs and metrics. Employers can then easily make adjustments to improve both employee performance and employee satisfaction. Studies show that 80 percent of sales require at least five follow ups, while only 8 percent of salespeople follow up more than four times. In fact, only 20 percent of sales leads are followed up on at all. Understand the importance of continuously calling and building trust with potential customers, and use this as a foundation of employee training. One approach is to measure performance not just by the number of successes, but also the number of failures. Employees with higher numbers of rejections are likely the ones more consistently calling to persuade their customers. 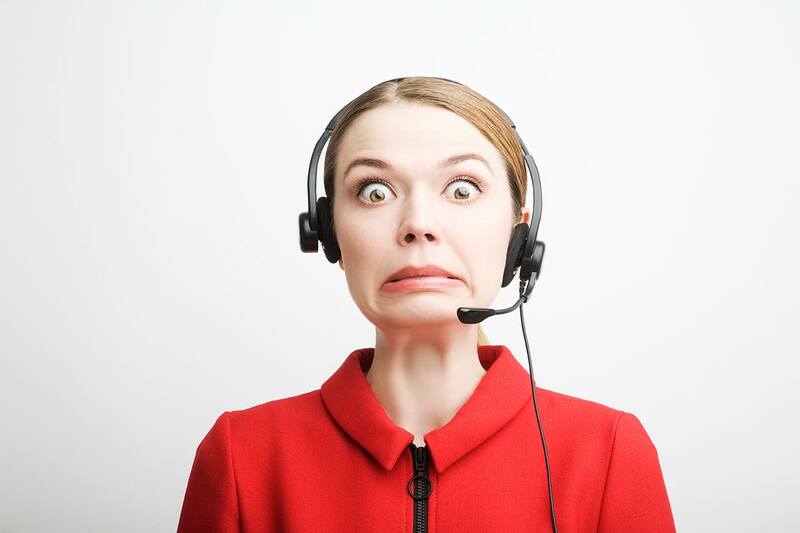 Waiting on hold for five, 10 or 30 minutes to speak with a customer representative is an extremely discouraging user experience and can damage customer loyalty that has been built up in other channels. Usually this occurs because companies are unable to scale their support teams fast enough to meet user demand. Additionally, callers can be wasting time pursuing leads that will result in busy signals or voicemail messages. Certain tools like predictive dialing software can save your callers time by calling ahead to check availability, keeping the phone lines open until they are connected with an available representative. First call resolution (FCR), for those who aren’t familiar, is when the customer’s issue is resolved within the first communication instance. This is preferable for both the customer and the service provider; the customer is satisfied with the speed and knowledge of the service rep, while the service provider has minimized resource usage. Luckily, data infrastructure and caller training are two areas most businesses have direct control over. Invest in these areas to improve employee efficiency and customer satisfaction levels. To ensure that customers are receiving the right impression of your company, each of your employees must uphold the values and standards equally. When customers get a different response from one customer service representative to another, that’s a sign that employee training was not consistent or thorough enough. You can minimize these types of inconsistencies by creating a standard process for new employees. Try to minimize “word of mouth” training, where new representatives are expected to learn the bulk of their knowledge from fellow employees. In addition, over 41 percent of employees at companies with poor training programs plan to leave within a year. An important takeaway is that improving productivity isn’t just about pushing employees to produce more; it’s also about creating a fulfilling work environment that respects employees’ time and enables them to perform well with minimal hindrances. We recommend researching tools like cloud-based call center software, which can make your employees’ lives easier, improve customer satisfaction and make call center business intelligence simple and accessible for decision makers. For more information on how technology can help your call center to run smarter, check out our Top 10 List When Considering a Cloud-Based Contact Center Solution whitepaper. Adam Dummar manages new client implementation, testing of system updates, ensuring client satisfaction, and oversees new employee orientation and training within the Customer Service & Support department. His background in legal services involved debt collections compliance and management of security processes for sensitive data collection. He routinely travels to client sites and assists with setup and training for new accounts as well as troubleshooting and presenting new features to existing clients.